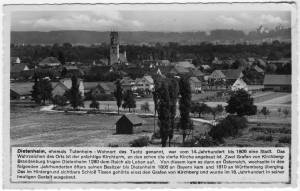 This is a homepage about the family Zacherle that originated around 1600 in Hall in Tirol. 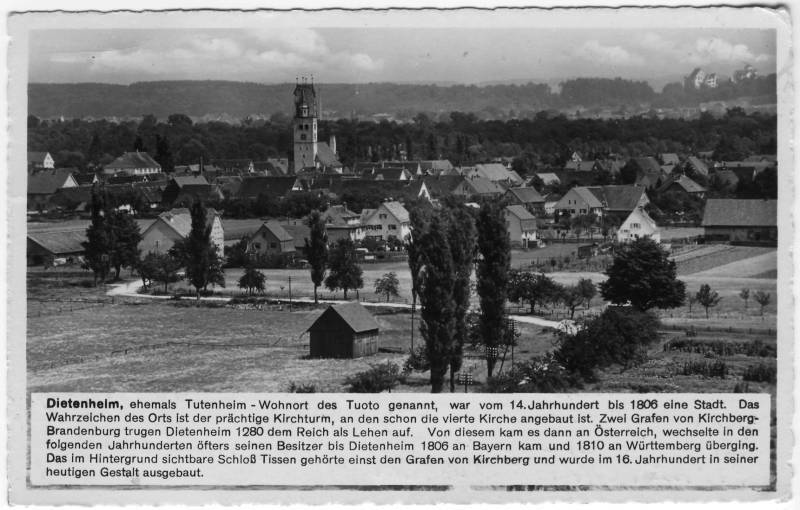 Around 1715, Georg Zacherle, who was born in Hall in Tirol, moved to Dietenheim in Württemberg. A number of years ago, when my grandfather died, he gave my father some records about his ancestors. This was my start into genealogy. Since then, I have put quite some effort into producing a family tree with all my ancestors and all their descendants (i.e. all members of my family). Currently this family tree consists of about 400 people. But there is more! I have three additional family trees of people with the name Zacherle. These three trees include about 400 people, too. Where are we all located? There are Zacherle's throughout the world - well, at least sort of. Most of us are in the US, and then there are quite a few in Germany. All the rest cover less then 5 percent of the living family members. The main tree: my own tree, containing german and american people in equal quantities. This tree goes back to the year 1700. The Washington tree, covering family members in Washington (State) in the Colville Reservation area. These Zacherle people are native americans and are named after John B. Zacherle, emigrating from Germany 130 years ago. The tree goes back to about 1840. The third tree is the oldest. Paul Zacherle, the first person on that tree, was born about 1615. The youngest Zacherle on that tree was born about 1710. The youngest person on the tree was born about 1770. While all other trees include living Zacherle's, this one does not and therefore it is a unique one. What I want to do is to connect the other two trees to my own family tree. Some of my uncles had a company run a genetical test on them in June 2006 und thus found out that they are related with each other. In fact, all of the markers that were used were matching each other with 100 percent accurancy! The result is that we now have proof that the people of the family trees one and two have a common ancestor within the last eight generations! Now all I have to do is to find out exactly how we are related. With the third tree, I'm not so sure if it should be easy to combine it with the other ones: Some nice person sent me the data, and no one knows what may have happened to those people. It is easy to go from younger persons to older ones (for every newlyborn the parents and their origin should be mentioned in the church books), but the other way around sometimes is like finding a needle in a haystack. There are a lot of nice people among our family. For example, John Zacherle, my uncle, was an actor and a radio DJ. But most of all, he is being recognized as the first Horror Show Host. My cousin Nile Zacherle, on the other hand, is a brilliant winemaker in the Napa Valley and the owner of Zacherle Wines. You are familiar with “My little Pony”? Well, yes, you may be suspecting it: this is a Zacherle invention. You don't believe me? Then you'd better have a look here! If you have data about any Zacherle, whether living or dead, I would be very glad about a contact! Why is this homepage written in english? Although I am German (and our family is of German origins as well), I chose English for this homepage. That's because most Zacherles alive today live in the US, and most of the German Zacherles are able to speak English. Copyright © 2006 Michael Zacherle.